Just like in fashion, styles and trends in the kitchen world are ever-changing, with new and exciting contemporary designs constantly influencing the direction of the modern kitchen. This week, we attended the KBB exhibition at Birmingham’s NEC and gained an insight into the popular trends that will be making their way into the kitchens of 2018. Below are some of the very latest trends in kitchen design. There is still a strong use of copper and rose gold in accessories such as taps and handles. Having been a popular choice in recent times, copper and rose gold furnishing brings an elegant warmth into the kitchen. There has been a shift away from plain metals, as the copper and rose gold alternatives offer a more reflective and soft, sophisticated glow. They are still very desirable and show no signs of fading anytime soon. One of the biggest trends for 2018 is the move towards veined work surfaces. Some of the latest Silestone surfaces are so impressive, it’s almost impossible to tell which ones are man-made quartz and which are natural marble. The extraordinary strength and resilience of Silestone makes it an excellent, high-quality surface for kitchens. It’s preferred over other natural porous materials such as granite and natural stone due to its extreme durability and endless colour possibilities. Copper and other rusty colour schemes are proving very popular on worktops, especially composites like Dekton. Industrial colours resonate beauty and practicality, giving the kitchen a hard-working feel. As well as offering warm and earthy tones, these neutral colours also blend in with other elements in a design scheme, whilst bringing a humble characteristic to the kitchen. As mentioned above, the industrial colours of kitchen worktops compliment the trending colour schemes of kitchen furniture, which remain the same; warm neutrals. 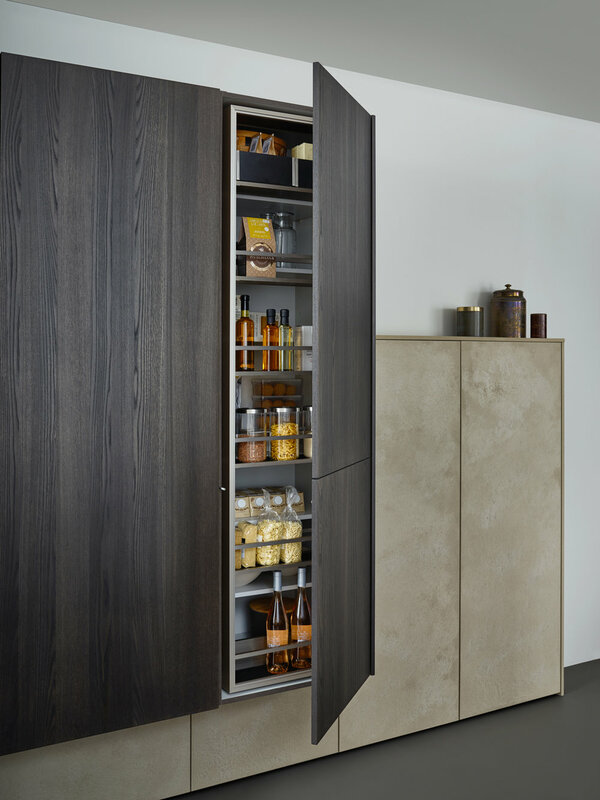 Popular choices for 2018 include cool greys, warm whites and dark navy however more organic colours such as earthy browns and rusts are also making an emergence.